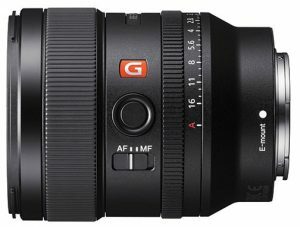 San Diego, CA—Sony Electronics introduced the 24mm F1.4 G Master prime lens into its line of G Master full-frame E-mount lenses. 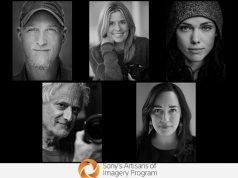 Model SEL24F14GM utilizes Sony’s most advanced optical technologies, and the company says it is the most compact, lightweight lens in its class. The new G Master lens measures 3×3.64 inches and weighs in at 15.7 ounces, with a filter diameter of 67mm. 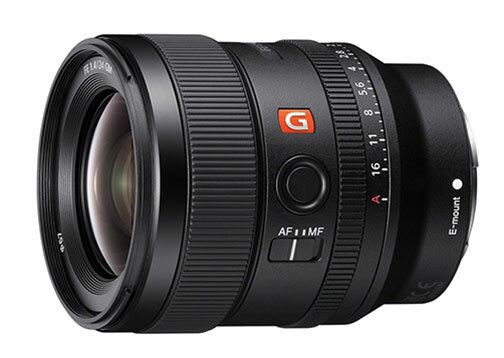 “Built to meet the strict standards of Sony’s flagship G Master series, the FE 24mm F1.4 GM offers exceptionally high resolution and beautiful bokeh, two qualities that are signature attributes of the G Master brand,” Sony announced. Engineered for high resolution across the entire frame, even at F1.4, the FE 24mm F1.4 GM boasts a new optical design. It consists of 10 groups with 13 elements. It includes two XA (extreme aspherical) and three ED (extra-low dispersion) elements. The two XA elements suppress sagittal flare as well as ensure that point light sources, like distant stars, can be accurately reproduced. As a result, the new lens is a solution for astrophotography. Moreover, Sony’s Nano AR coating reduces lens flare and ghosting. The coating is benefial even in landscape shots where the position of the sun can be problematic. In addition, the lens’s light weight is due in part by the development of a new DDSSM (direct-drive SSM). The supersonic motor delivers three times greater thrust than the previous focus system. This enables faster response, higher positioning accuracy and quiet operation for both stills and movie shooting. 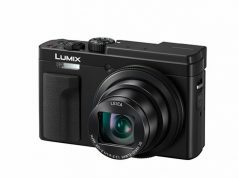 In addition to its landscape and astro shooting abilities, the lens provides close-up performance of under 10 inches. Moreover, it delivers soft and natural bokeh. This is achieved by control over spherical aberration as well as axial and lateral chromatic aberration at the design and manufacturing stages. Each lens is individually tested and adjusted to achieve maximum performance. The FE 24mm F1.4 GM also includes a number of professional controls for both still and movie shooting. These include an aperture ring that allows direct, intuitive aperture control. In addition, a focus ring features linear response MF for fine, responsive manual focus control. There is also a customizable focus hold button. Plus, a focus-mode switch makes it possible to quickly select auto or manual focus. Furthermore, the lens is a complement to Sony’s APS-C sensor mirrorless cameras, such as the α6500 and α6300. 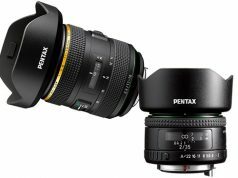 Its release brings the total number of native Sony α E-mount lenses to 48. Sony’s FE 24mm F1.4 GM ships in October 2018. It will retail for $1,400.